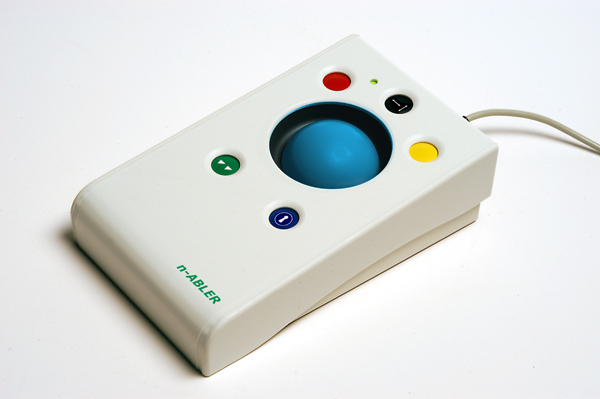 The n-ABLER Trackball is especially suitable for improving access for children and young people with some special educational needs, learning difficulties, for those who's work entails long periods of computer use and for older people and others with movement impairment. 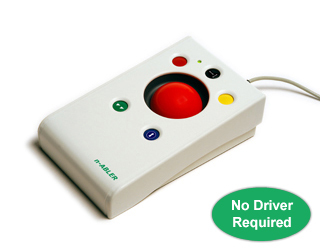 The n-ABLER Trackball emulates a computer mouse but, with fingertip control and the need for only minimal hand movement, reduces wrist and elbow fatigue, requires far less effort and is less tiring. 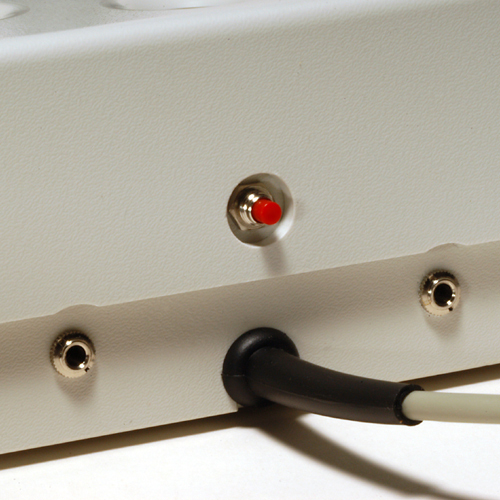 The symmetrical design enables users to work with either hand without having to angle the wrist, and the unit can also be configured for 'left-handed' operation. Its large, integrated hand support/palm rest makes work posture more relaxed and less strained.